In November 2016, Secular Scotland lodged a complaint with the state broadcaster about its programme Thought for the Day. This is a programme that interrupts the morning news on BBC Radio Scotland and BBC Radio 4 and exclusively represents the views of people who are religious. People with no faith are not permitted to contribute. It can and has been used for controversial political opinions to be expressed by religionists where they go unchallenged. Thought for the Day should be renamed Religious Thought for the Day. Thought for the Day should be removed from the BBC’s flagship news programme. 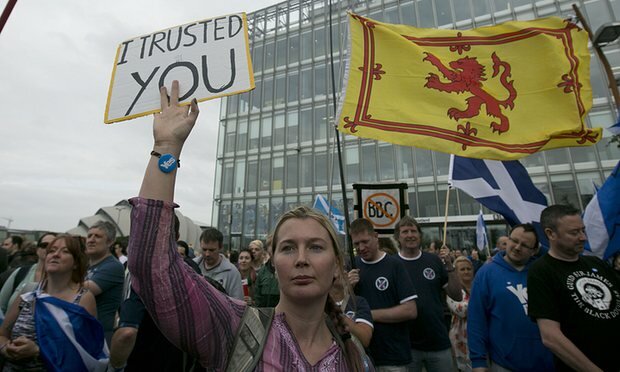 Secular Scotland’s complaint should be handled fairly and with impartiality. Any decision should take cognisance of the BBC’s own policies of inclusivity and diversity. So, the state broadcaster will continue to discriminate against people without faith even though their own Director-General, Tony Hall loudly claims he is promoting inclusivity and diversity within BBC’s programming. Not only that, it will be done because the rest of the news is secular, despite religion featuring regularly and prominently in the news. In addition, the BBC will continue to promote Thought for the Day in a title that suggests it is open to all. The BBC ignores its own recommendations and we agree with a previous statement made by the British Humanist Association that the BBC might even be breaking international law. Secular Scotland do not feel BBC Radio Scotland has a mandate to interrupt its flagship news programme Good Morning Scotland with Thought for the Day as it is now presented. It juxtaposes news stories to provide a ‘reflective’ religious angle to the news ‘from the perspective of a religious faith’. Only on this programme are controversial political views allowed to pass unchallenged. This surely contradicts everything that the BBC is supposed to strive for in presenting fairness and balance. An inequity exists even within the BBC Scotland’s management of this platform. Buddhist nun Kelsig Machig has appeared numerous times to express her opinion in this slot but the controversial Moderator of the Free Church, Rev David Robertson does not. The latest Scottish Household Survey states half of Scotland does not follow a religion*. It is neither fair, right or democratic to marginalise those without faith as unworthy of contributing to Thought for the Day. This level of discrimination is neither Christian or good practice for our state broadcaster and we ask the practice of privileging one community over another now ends. Relaxing the rules to allow an atheist Thought for the Day an hour earlier from its usual transmission on Boxing Day 2012 and leaving a cleric their usual space before the news at 7 o’clock is as insulting as BBC Scotland once permitting a Humanist to share their perspective. 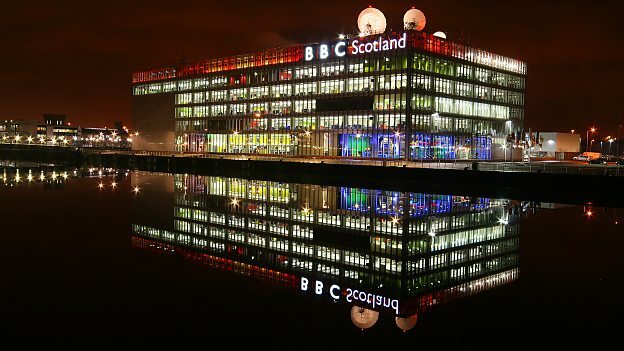 Former BBC Director-General Mark Thompson, a devout Catholic educated by Jesuits oversaw the construction of BBC’s new production centre at Glasgow’s Pacific Quay which included a separate studio for religious broadcasts. The BBC Trust, formerly headed by devout Catholic Lord Patten, has repeatedly rejected efforts to challenge such unqualified privilege. ** The BBC must open its doors to all philosophers, rational thinkers and those qualified to give a perspective on what life throws at us whether they are religious or not. I have registered a formal complaint on the group’s behalf. * 49.8% of those surveyed said they did not have a religion – up from 40% in 2009. 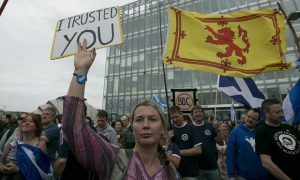 – Scottish Household Survey. ** In 2009, the BBC Trust rejected a formal complaint from the National Secular Society regarding the exclusive and discriminatory nature of Thought for the Day. It found that the editorial policy of only allowing religious contributors to participate on Thought for the Day did not breach either the BBC Editorial Guidelines on impartiality or the BBC‘s duty to reflect religious and other beliefs in its programming. Whilst it rejected the NSS’s complaint, it did confirm that Thought for the Day must comply with requirements of due impartiality and that any future complaints on broadcasts would be judged against these standards on a case-by-case basis. Despite this, in 2013, a NSS complaint about a Thought for the Day broadcast by Lord Singh that was used to deliver biased commentary on a topical political controversy, without any right to reply or attempt to provide due impartiality, was rejected. Thank you for getting in touch with BBC Audience Services and Jeff Zycinski, Head of BBC Radio Scotland. “Thank you for taking the time to contact us about Thought for the Day (TFTD). This slot comes under a great deal of editorial, production and audience scrutiny. We are guided by the 2009 Trust decision (as quoted in your correspondence below) regarding religious contributors to TFTD. Secular comment is spread across BBC Radio Scotland output, in speech programming that is stripped across the morning, afternoon and evening schedules. 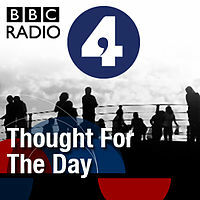 The Thought for the Day slot allows a space for a faith-based perspective to be offered and we know that it is much appreciated by many of our listeners, on GMS as it is within the Today programme on Radio 4. We recognise that it is a slot which can both stimulate and frustrate, and that it has very loyal listeners as well as listeners who are not comfortable with the religious content within a news programme. Please be assured that producers and contributors work hard to try to achieve scripts which are balanced, inclusive and offer a distinctive perspective on current issues, with speakers from across religious groups in Scotland, including those who are members of the major world faiths, who offer insights rooted in their own traditions. The production process is very rigorous and contributors must be able to write scripts which sit within BBC editorial guidelines and be comfortable working within that rigorous production process. We would like to advise you that your comments have also been fully registered on our daily audience log. This internal document is made available to all our production teams and senior BBC management. 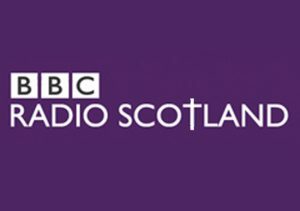 “Passing Secular Scotland’s complaint to the Religion Department gives it the level of impartiality I’ve come to expect from our state broadcaster. 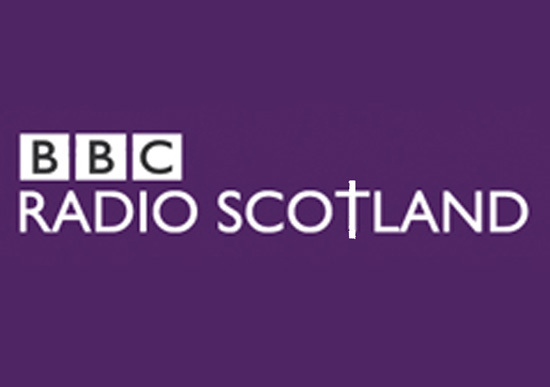 We never asked that religious people be excluded across BBC Radio Scotland’s output in speech programming stripped across the morning, afternoon and evening schedules. We asked that non-religious people aren’t excluded in a section of the news programme. What part of the words ‘balanced’ and ‘inclusive’ does the BBC not understand? For the last six years the Communications Act 2003 has been in force which, at section 264(6)(f) defines public service broadcasting as requiring ‘a suitable quantity and range of programmes dealing with each of the following, science, religion and other beliefs…’ and at section 264(13) defines ‘belief’ as ‘a collective belief in…a systemised set of ethical or philosophical principles…’ During the passage of the Act, the responsible minister (Lord McIntosh) made it clear that this included Humanism. The BBC is also mandated by its Agreement with the Secretary of State to reflect ‘religion and other beliefs’, which includes Humanism. Further, the Human Rights Act 1998 and national and European equality and anti- discrimination law give religious and non-religious beliefs, such as Humanism, equivalent status in law. Tony Hall, Director-General’s 2016 statements in Diversity and Inclusion Strategy 2016-20.